Ever since reading the 1990 Steampunk classic The Difference Engine by William Gibson and Bruce Sterling I have been intrigued by mechanical computing and its historical, social, and literary impacts on real and imagined societies. This program shares that interest with others by exploring a brief history of computing before the age of silicon and giving participants guided hands-on time exploring and using rare analog computing machines and artifacts from the 15th-20th centuries. See my image carousel in the next section for a visual tour of the devices available in this program. If you are interested in a comprehensive look into computing ranging from Analog to Artificial Intelligence, consider my program Art & History of Computing. 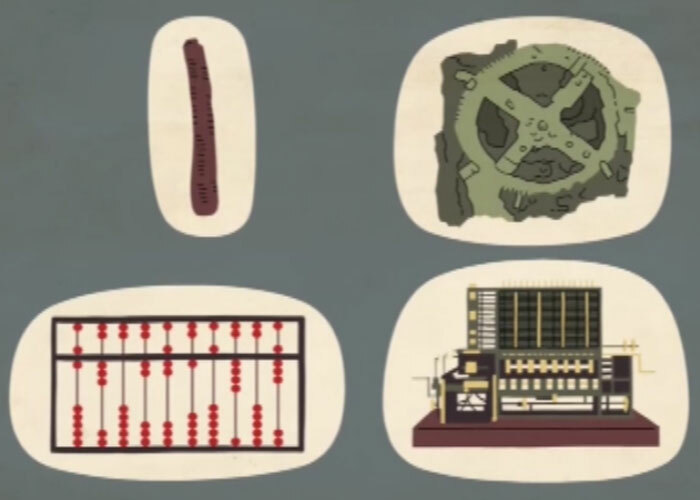 Interested in learning about the bone, bronze, and iron ages of computing? See my hands-on collection of computing artifacts ranging from the 15th - 20th centuries. Click on any photo to learn more about a device. Use the arrows at the left and right to move to different photos or simply allow the photos to scroll automatically. Duration: 2.0 hour interactive program | Age Range: 9-Adult/Senior | Participants: 4-30 | Cost: Starting at $249 for 2 hours | Requirements: Video Projector with HDMI port and speakers ; 1 large table for presenter's items ; 10 medium tables with chairs for hands-on stations ; 0.75 hour setup and breakdown times ; additional travel charges may apply. Contact for details.